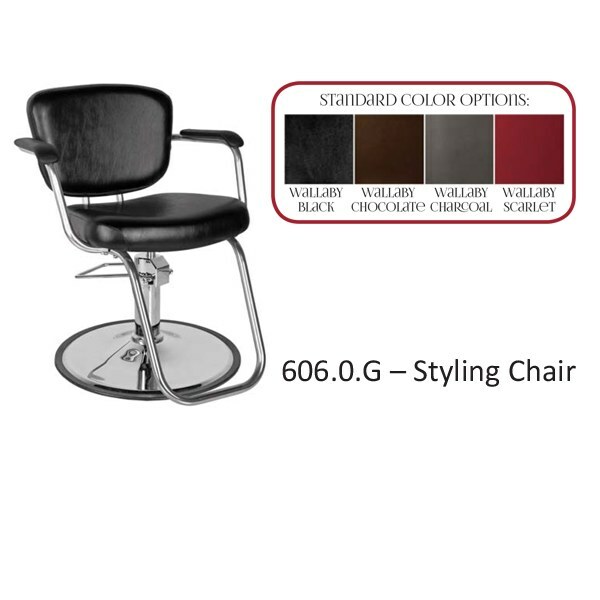 The aero styling chair is designed to have a professional style and engineered to provide supreme comfort. 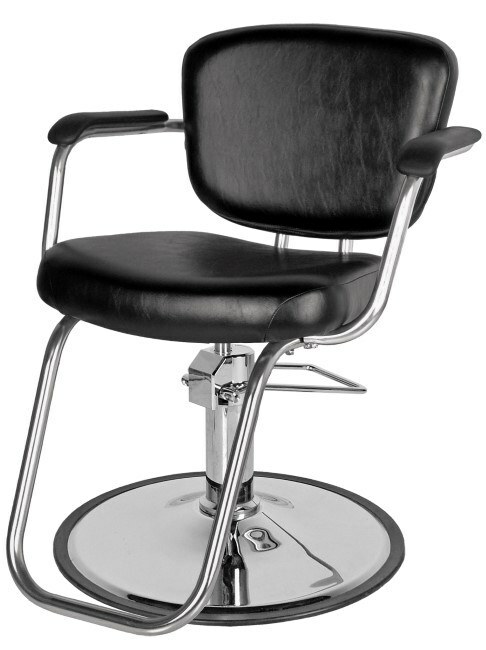 The Aero Hydraulic Styling Chair. 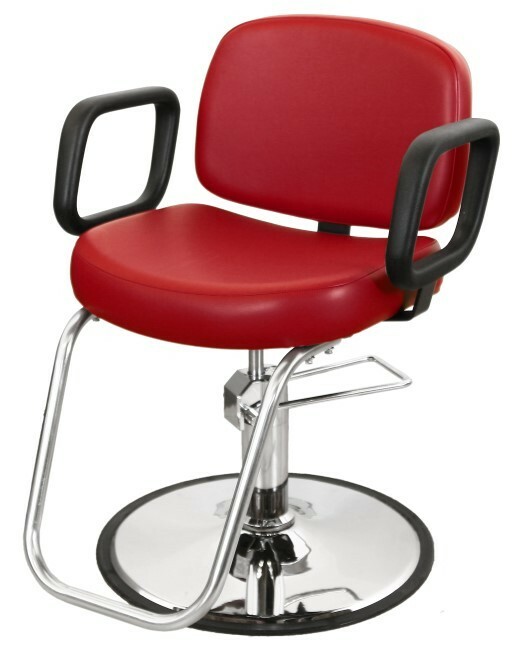 Features include durable tubular-steel wrap-around arms and back-support, molded urethane armrests, tubular steel footrest, and chrome hydraulic base. Measures 22" between the arms, 15" high back. Ordered for QUICK DELIVERY in four standard colors Black, Charcoal, Chocolate, or Scarlet or can be special ordered in 85 colors.